Overview... a thirty-something pregnant woman trying to keep it together. Pregnant with her first child, Verona struggles to cope with her impending changes in lifestyle as her body and hormones fluctuate. She and her partner Burt go on something of a road trip, staying with family and friends, where they learn about what it takes to be parents. Personality… moody, sensitive, and funny. Verona needs to know that Burt is going to stay with her no matter how she looks or how old she gets, and she needs to be reminded of this on a daily basis. Wanting nothing more than to find a place where she and Burt can happily raise a family, Verona allows herself to become overly stressed about details as much as she stresses about the big picture. Verona De Tessant's popularity ranking on CharacTour is #3560 out of 5,000+ characters. See our top-ranked characters and read their profiles. 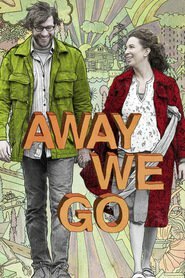 Verona and Burt have moved to Colorado to be close to Burt's parents but, with Veronica expecting their first child, Burt’s parents decide to move to Belgium, now leaving them in a place they hate and without a support structure in place. They set off on a whirlwind tour of of disparate locations where they have friends or relatives, sampling not only different cities and climates but also different families. Along the way they realize that the journey is less about discovering where they want to live and more about figuring out what type of parents they want to be.